Aussie Environmental install their silt fence using the trench-less or static slicing technique. So What Is The Static Slicing Technique And How Does It Work? 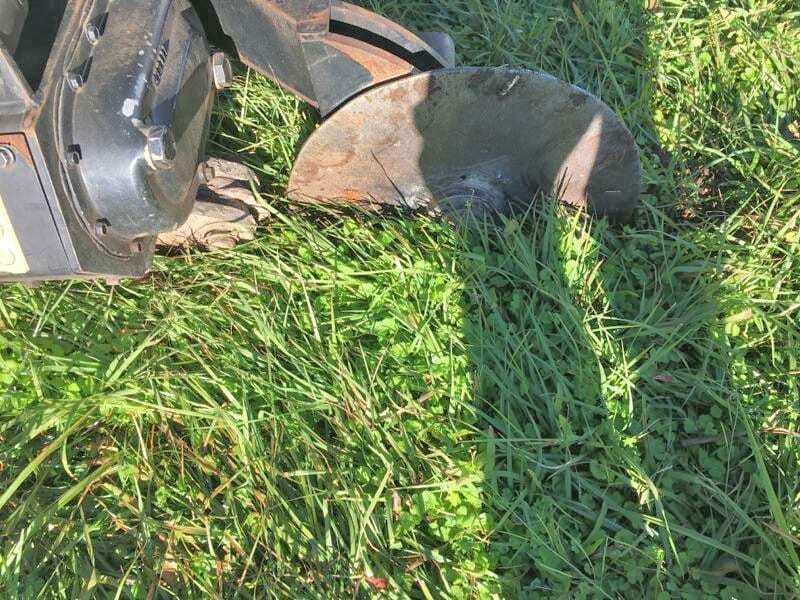 Static slicing can be described as the insertion of a narrow custom-shaped blade at least 200mm into the ground, and simultaneously inserting the silt fence fabric into the opening (10mm wide) created by the blade being pulled through the ground. What are the benefits of static slicing (trench-less) silt fence technique vs the standard trenching technique? The static slicing method can be installed 2 to 4 times faster than the trenching method, this saves construction and civil sites time, money and labour. Static slicing installation can hold more water or runoff and has less seepage than a standard trenched silt fence during unforeseen rain events, this means the silt fence will perform better in the long run and need less maintenance overall. Using machinery (Slicing) rather than man power (trenching) is more accurate and consistent, making it easier to follow compliance’s and also produces less mistakes during the installation process. Additionally, the sliced method of installation generally provides a stronger, higher performing and longer lasting silt fence. Is your installed silt fence compliant? If you do not install your silt fence to correct compliance’s you or your site developer are at risk of fines for non-compliance. 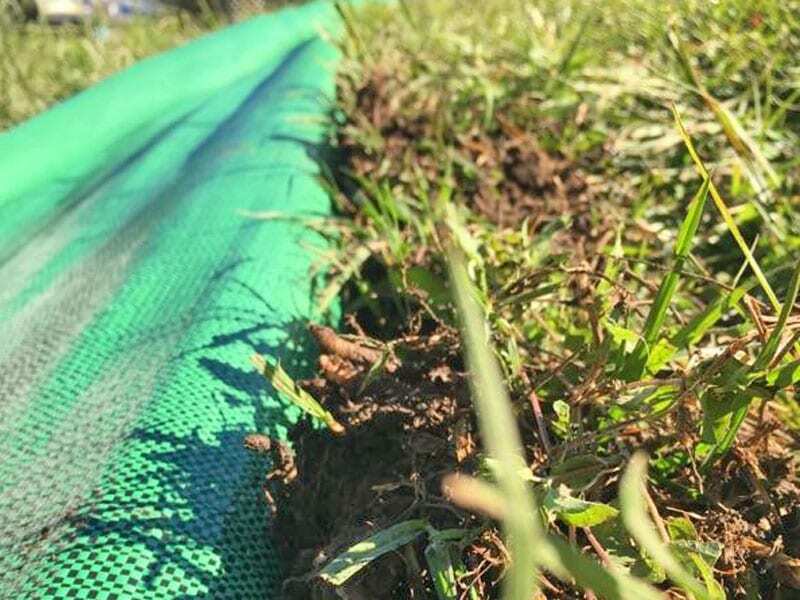 A professionally installed silt fence should always be installed to specifications; therefore, you can rest ashore that upon installation of an Aussie Environmental silt fence will be fully compliant. Regular inspection and maintenance is also required to keep your site compliance. 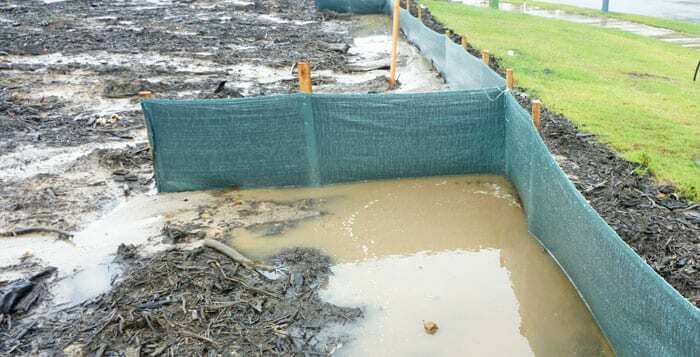 A Silt fence should be checked weekly and also after rain events. Check to see If there is any damage to the silt fence including broken stakes, torn fabric, holes and even if there are gaps between fabric and the ground. If you see any of these issues the silt fence should be replaced or repaired immediately to avoid non-compliance. Let’s break down it down. On average slicing installation technique is 2-4 times faster than trenching. Using poor quality products can cause your site to become non-compliance. By using a high-quality silt fence material will help guarantee your silt fence will last the required length of time on site. 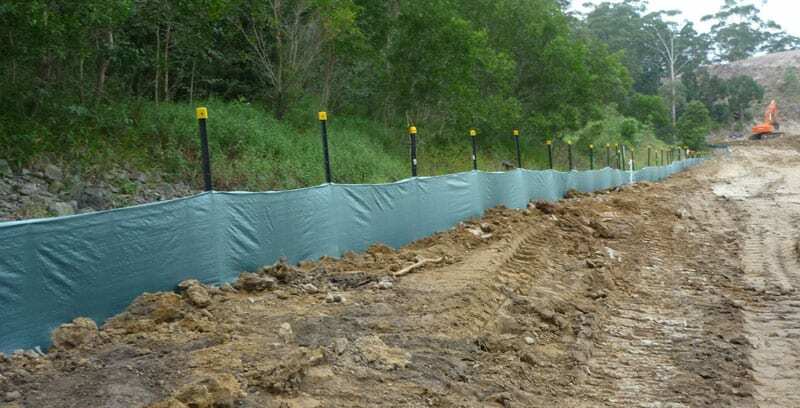 Aussie Environmental only Sell heavy duty 100gsm UV stabilised silt fence that is Certified by AASHTO (American association of State Highways & Transportation Organisation) and has a 2-year life expectancy. In addition, our silt fence is also ISO 9001 Certified making sure our silt fence material is manufacturer to the highest quality standards. When should you not use silt fence? Silt fences are only to be installed for sheet flows and should not to be installed in areas of concentrated flows, check dams or across watercourses. 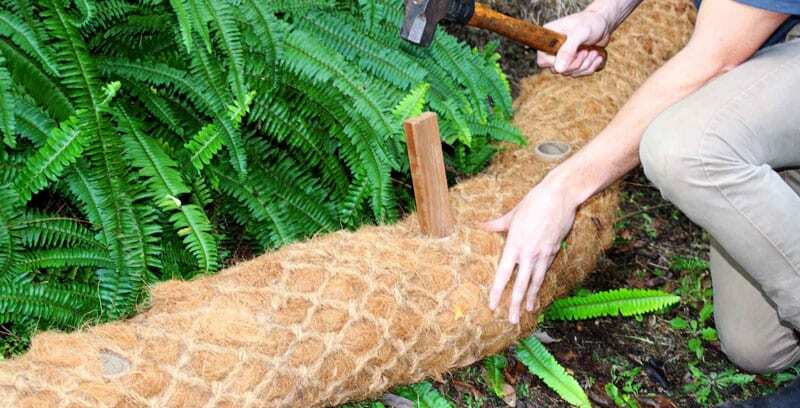 Consideration of specific site requirements and other erosion control measures may be a better alternative, such as our heavy-duty silt fence installation or our coir logs products. Aussie Environmental have over 10 years of experience and knowledge to advise you on best practices and techniques for optimal installation and compliances. 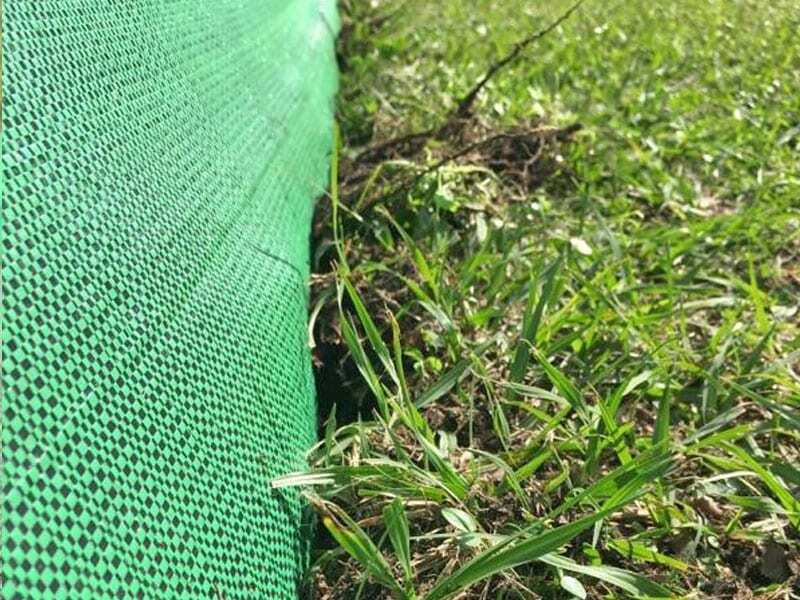 Aussie Environmental provide a range of silt fence installation types including: standard, heavy duty silt fence and our combined heavy-duty silt fence with safety barrier mesh. 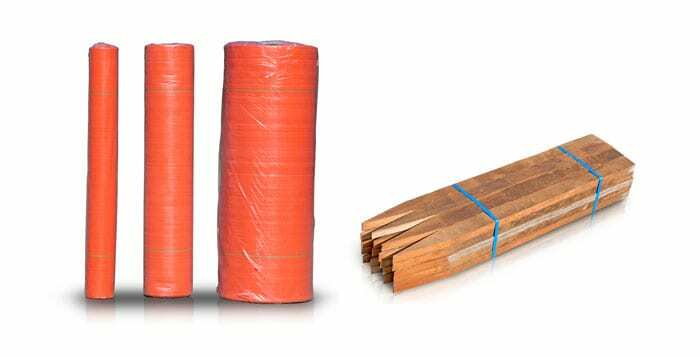 We also provide our silt fence in two colours, standard green or for when safety is a priority we can install our hi-visibility bright orange silt fence.